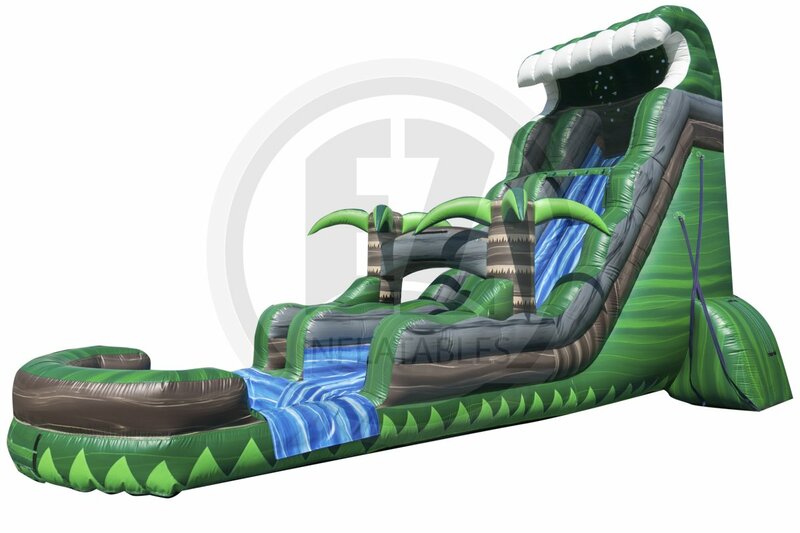 36' of water slide fun!!! 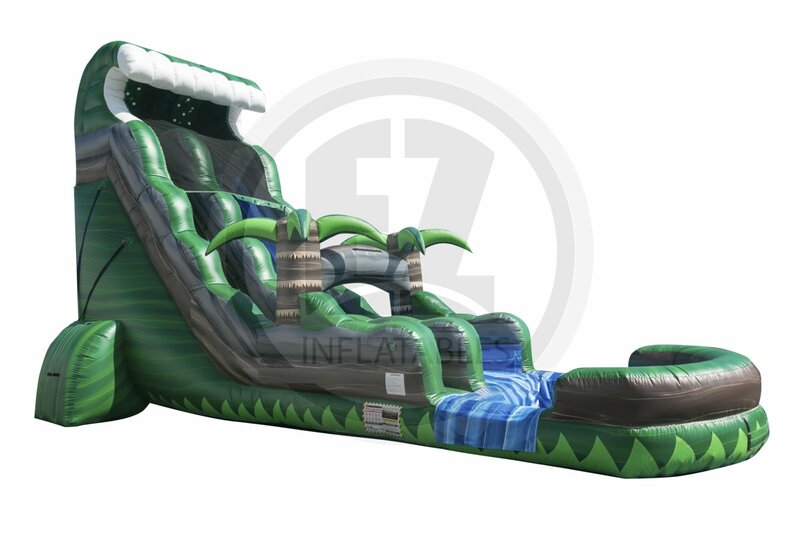 Our New 22' Emerald Springs Water slide features a 22' tall giant single lane inflatable water slide with a splash pool at the end. Once at the top of the awesome Emerald Springs Waterslide, the steep angle will have your adrenaline pumping and wanting more!